During difficult times when we find ourselves looking for strength, many of us take a deep breath, look ourselves in the mirror, and search for answers. As the reflection stares back, for a brief moment, we can see ourselves the way that the world sees us. Sometimes it is just the tiny lift that we need to keep moving forward. There are a few among us though who do not need a mirror to catch such a glimpse. Cynthia and Sylvia Whitfield are identical twins and over the years the two have shared much more than just birthdays. It was shared experiences, such as each fighting breast cancer twice, that have helped them to find the deepest strengths not only in themselves, but in each other as well. While both ladies are doing well after their fights, there are still lingering signs of the effects of this terrible disease. Sylvia faces more surgery to correct a complication with her reconstruction. Cynthia, who loves all seasons, must be careful not to get too much sun. Perhaps it is these reminders that have inspired both women to reach out to others in the community who are facing similar fights. Through Susan G. Komen, both Cynthia and Sylvia have made connections with a network of survivors and patients who share the dream of a world without breast cancer. It is a special thing to be a twin. It is a relationship like no other: part sister, part soul mate, and in some ways perhaps even an extension of oneself. 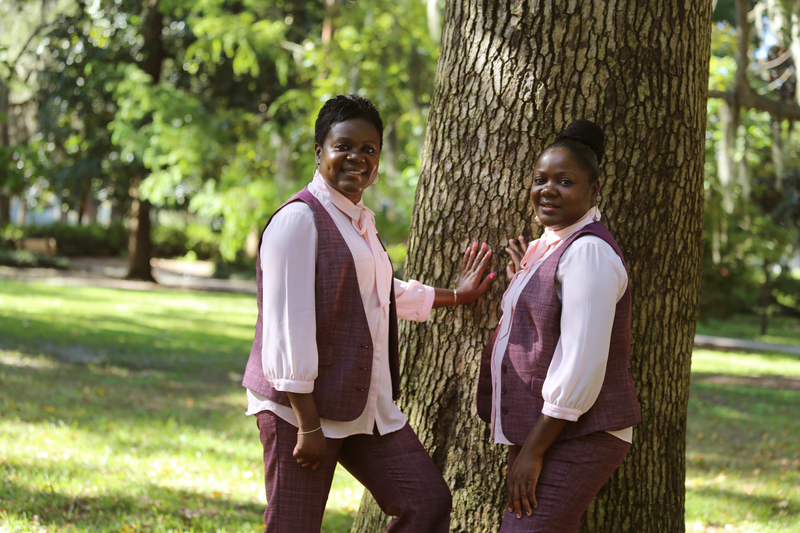 Cynthia and Sylvia have shared a unique bond their entire lives, and while they have faced many similar challenges, they are anything but carbon copies. Perhaps the most striking similarity between the two is not in the way that they look or in the parallel paths that their lives have traveled, but rather in a strong sense of optimism that seems to radiate from them both like warm Georgia sunshine.